Wikipedia states that ‘Huby is a village and civil parish in the Hambleton district of North Yorkshire, England, about eight miles north of York and four miles south-east of Easingwold’ (http://en.wikipedia.org/wiki/Huby,_Hambleton), which is about as accurate, yet dry, a description as you can get. Wikipedia does not elaborate further, so for a more in depth look at Huby’s past the Visit Easingwold site has a great potted history of the village: http://www.visit-easingwold.com/Huby.html. In addition, the British History website carries many more mentions of Huby in it’s piece on Sutton-on-the-Forest: http://www.british-history.ac.uk/report.aspx?compid=64641. There’s also some old census data on the Vision of Britain website: http://www.visionofbritain.org.uk/place/13025. Have you ever wondered about the five men with Huby connections who were killed in action in the First World War? They are commemorated on a plaque by the door of the chapel, but apart from their names, ranks and regiments there are no other details. For a long time I have been curious to learn something about them: who they were, what they did before the war, how, when and where they died and whether they were buried in a war grave, how old they were, and what their family connections were. With the help of the Commonwealth War Graves Commission and the national Censuses of 1891, 1901 and 1911, this is what I have found. He was killed in action in the battle of the Somme on 14th July 1916 aged 19. He has no war grave, but is commemorated on the THIEPVAL Memorial. Military records cite his rank as Private, and not Gunner as shown on the Memorial. James Cundall was born in Huby, and before enlisting was a farm lad at Alcar Farm in 1911. He had at least eleven brothers and sisters. He was the fourth child and second son of Thomas William and Annie Cundall. His father, a farm worker, originally came from Cawton, near Gilling, and his mother was born in Wheldrake. They moved to Huby sometime before 1901..
James is the uncle of Alan Cundall who lives in Easingwold Road and his cousin Jim Cundall of Gracious Street. He was killed in action in the Third Battle of Ypres on 23rd September 1917 aged 25. He has no war grave, but is commemorated on the TYNE COT Memorial. William Hebdon was the son of Jonathan and Anna Hebdon of Huby. Originally from Easingwold, where the family was living in 1901, Jonathan was a pig dealer. 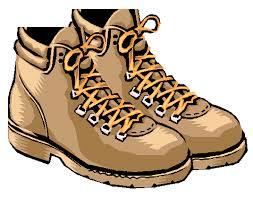 William was a joiner before enlisting. There are Hebdon families still living in the Easingwold area. I do not know of any actual relatives. No 34912, 9th Battalion, Kings Own Yorkshire Light Infantry. He was killed in action in the Arras Offensive on 9th April 1917 aged 39. He has no war grave, but is commemorated on the ARRAS Memorial in northern France. Thomas Hardiman was not born in Huby. His parents were Joseph and Maria Hardiman of West End, Long Preston. An older man, Thomas was a gamekeeper at New Parks before the war. He was killed in action in the battle of the Somme on 13th October 1916 aged 20. He has no war grave, but is commemorated on the THIEPVAL Memorial. George Hayden was a Farm Servant, born in Wigginton, the oldest of seven children of farm worker Jacob and Elizabeth Hayden all living in Sutton On The Forest in 1911. Can anyone tell me whether George Hayden was a relative of Jack Hayden who was living in Huby until the 1970s? He was killed in action during the German offensive at Ypres on 4th April 1918 aged 28. He has no war grave, but is commemorated on the TYNE COT Memorial. William Yorke was the eldest son of Thomas and Margaret Yorke of Novay Farm, Marton near Stillington. He was working on the farm in 1911, and his connection with Huby is not clear. Maybe he worked on a Huby farm after 1911, or maybe his mother, who was a Head Teacher in 1911 had connections with Huby School. I hope that these notes will help to keep the memory of these men alive. 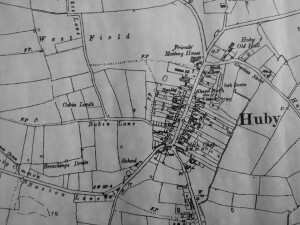 It would be great to add to the information already out there – if you’ve got anything on the history of Huby that you’d like to share or record, or maybe have old maps or photographs that could be added to the site, please get in touch.